In today’s world we have to make our money stretch. You can always make a monetary donation. However, there are many ways to earn money for Happy Trails in your day-to-day living. Browse the many ways to give to the rescued animals at Happy Trails and earn money to help support the rescue of many more neglected and abused farm animals. Know the cause you want to read about? Jump to it by clicking the program name. *Receipts accepted August 9, 2018 through December 29, 2018 – Deadline for submission is January 10, 2019. Simply save your receipts. Turn your grocery shopping experience into cold hard cash for Happy Trails and the rescued animals through the Acme Community Cash Back Program. Send your receipts to Happy Trails. Mail your receipts to Happy Trails at 5623 New Milford Rd Ravenna, OH 44266. At the end of the program, Happy Trails will turn in all of the receipts that we have collected. Our organization will receive a percentage of the sales of all eligible products. Every little bit helps, so be sure to save and send in your Acme receipts today! Save your aluminum cans. Collect your cans and store them up in durable trash bags. Pet food cans as well as beverage cans can be recycled. When in doubt, use a magnet to test for aluminum. A magnet will not stick to aluminum but will stick to steel or other metals. Drop off at Happy Trails. Bring your bags to the Happy Trails Sanctuary office and place them beside the office building to the left in the receptacles provided. If you need help, please ask in the office! If the receptacles are full, place your bags in the area beside them. Make money! Happy Trails periodically takes the aluminum cans donated to B & B Recycling where your donated cans are turned into money that directly benefits the farm animals rescued by Happy Trails and you. Choose your favorite animal. Browse our many farm animals and horses in varying stages of recovery and those available for adoption. Fill out our Animal Sponsorship form. Print out and complete our sponsorship form and mail to: 5623 New Milford Rd, Ravenna, OH 44266. You can also start your monthly sponsorship payments by visiting our Animal Sponsorship page. Enjoy your monthly sponsorship and benefits. Receive an introductory sponsorship packet, periodic updates and invitations to our ‘Sponsor Days’ where you can visit with your sponsored animal in person. Simply Do Good. Goodsearch will donate to Happy Trails when you search, shop, dine, play games and more. Click on Get Started. Enter Happy Trails Farm Animal Sanctuary. Sign in by creating an account or using your Facebook account. Start earning money! Look to see what other supporters of Happy Trails are earning. Use the search engine. Shop. It’s so easy! Read More.  Horse Caves is a unique program designed to provide sponsorship for a recovery stall at Happy Trails. Each horse arriving at the sanctuary needs special attention for their rehabilitation. Read the details. Sponsor a Stall! Decide whether your sponsorship will span a year at $100 a month or pay one payment of $1200 for the year. Visit our Donations page and mark your donation for a stall sponsorship. Decide what your plaque will say. With each annual sponsorship of a recovery stall a plaque is hung in honor of your donation. 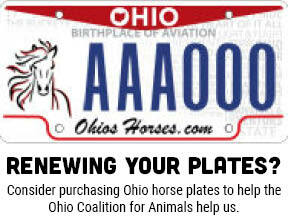 It’s a great way to mark your support for the animals of Happy Trails or a great gift in honor or memory of a loved one. Shop at any of 1,300+ online stores. It’s fast and automatic with the iGive button, iPhone/iPad app, or by simply using the iGive.com site to visit stores.You never pay more. You are always shown how much you’re raising before you buy. Just about anything you buy counts. iGive takes care of the details, including sending the money you have raised straight to Happy Trails! Donations range from .5% (e.g. computers) to over 20%, varying by store. A typical shopper raises about $70/year. Leaving a legacy of compassion for animals and continuing to do amazing work together with Happy Trails through planned giving is a true testimonial to your convictions and an incredible way to memorialize your dreams of spreading peace and healing on this earth in a big way. By including Happy Trails in your estate planning, you can be the reason we are able to implement new programs, reach more people, rescue more animals, change mindsets, heal the broken and continue to make a big impact in many, many lives. Read the details in our Planned Giving Brochure! Workplace giving is a fantastic way to have your donation doubled or even tripled, depending on your company’s policy. A gift from you, and you workplace, will go directly to support Happy Trail’s mission to rescue, rehabilitate, and provide an adoption program for abused, abandoned, and neglected farm animals throughout Ohio. We work to educate on how to create a kinder world for all beings. To support Happy Trails within your workplace, first consult your human resources department to determine Happy Trails eligibility for your workplace giving program. Discuss with human resources or Happy Trails the best option for donating. You can also contact Happy Trails directly and we will reach out on your behalf to your company’s human resources department to determine if Happy Trails is currently included in your workplace giving program.